Of all the online casinos on the internet right now the title for best name probably belongs to the Kerching Casino. Just say this name and you get an image of a mountain of coins falling out of a slot machine or of chips being pushed across the table by a dealer. But is this site all name and no substance or does it live up to the name by providing a quality casino experience? It runs IGT games and is now well enough established for us to fully review it. The site has a homepage which manages to pack in a lot of information without putting us off by being overly busy. There are icons representing some of the top games in some of the different categories as well as details of the jackpots and the welcome bonus. It all manages to be nice and bright while not being overwhelming. Chat, call, text and email are the customer support options detailed on the home page and it is good to see such importance being given to this aspect of the site. All of information you could ask for is easy to find on the Kerching Casino site and you shouldn’t need to waste any time when all you want to do is get started. 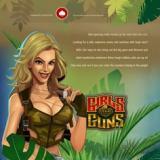 Unlike some other online casino sites this one only offers browser games rather than a full casino download. To be fair, a lot of players prefer to play flash games rather than bother with a download, and if you fall into this category then you will be happy enough playing at the Kerching Casino. Slots, table games, roulette and blackjack are the options listed on the home page but once you delve a bit deeper you will find a lot more to take your fancy here. At the time of writing the featured games on the site include Treasures of Troy, Triple Spin Bonus Roulette, Star Trek and Monopoly Multiplier. As that little selection hopefully confirms, this is a casino with a good variety of game on different subjects. When we last looked Grand Monarch was the latest game to be added to the site. There certainly isn’t a short of entertainment here and whatever kind of casino you like you should find something here to keep you happy. We have become a little bit spoiled by the offers on online casinos and the 100% cash match of up to £100 is pretty much what we expect nowadays. It is, nonetheless, a very good deal to get you started playing. There is also a pretty tasty Monday promotion which gives you a 10% reload bonus for playing any of the site’s Monopoly games. Likewise there are promotions on each day of the week which entice you to try out different games on the Kerching Casino site. There is also a VIP Club and a loyalty points scheme which you can take part in. These are both great incentives to keep on playing and trying to win more cash as you build up your profile on the site. We were impressed by the Kerching Casino site right from the very beginning. Apart from having a top name it also had a very smart layout and offers us some of the games we most like to pay. There is no real weakness to this site and if we had to name a strength then the smart daily promotions probably just nick it. It is easy to just end up playing the same games all the time on an internet casino, and if you take advantage of some of these offers you have a real reason to try out some different ones at least once a week.